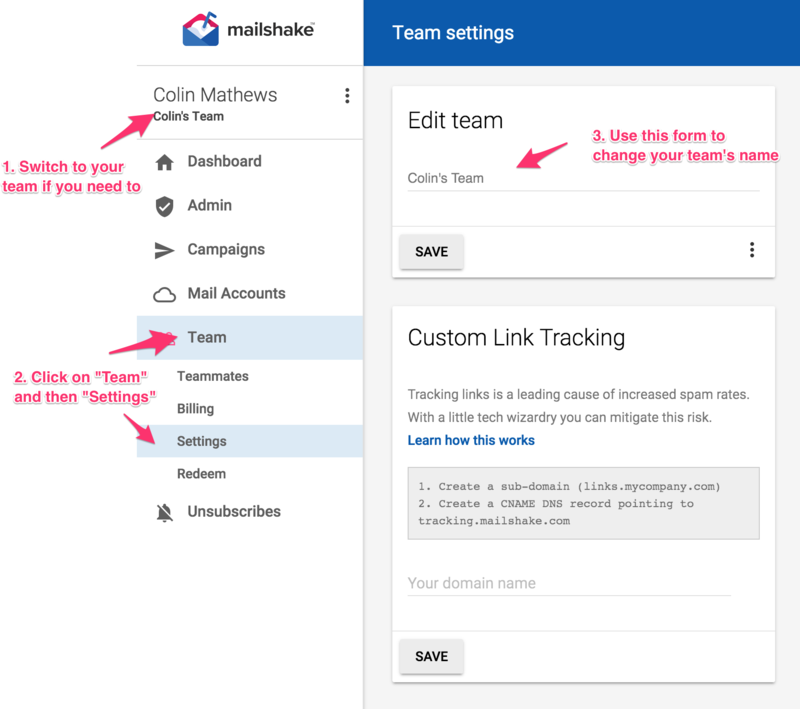 Click on "Team" and then "Settings" in the sidebar. Then use the 'Edit Team" form to change your team's name. NOTE: Only team administrators can edit team names.